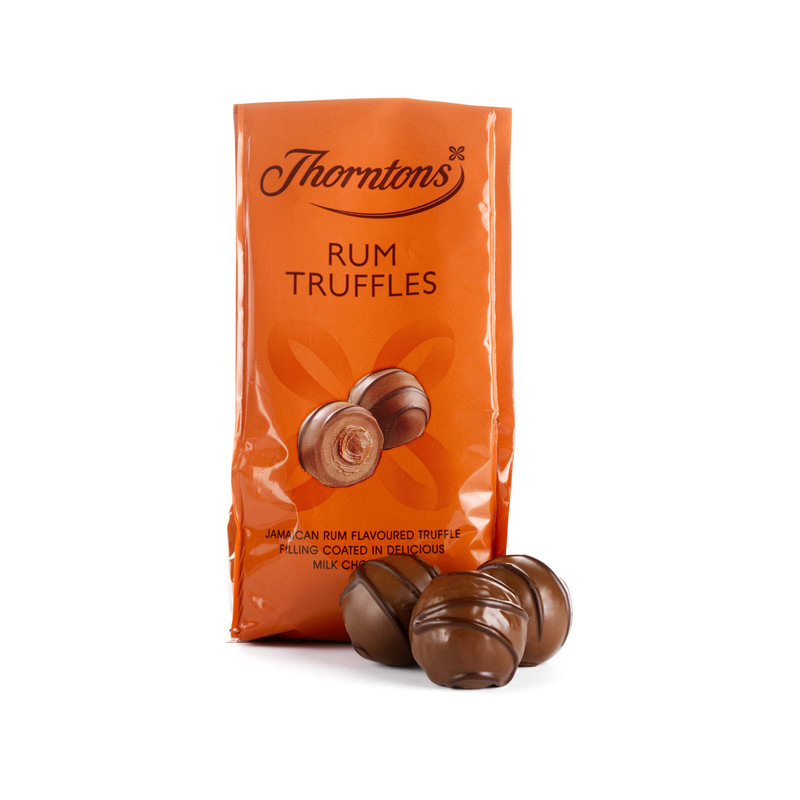 Flavoured using authentic Jamaican rum, Thorntons Rum Truffles perfectly balance the distinct warming flavour of this slightly spicy sugarcane liquor with the smoothness of the chocolatey centre. 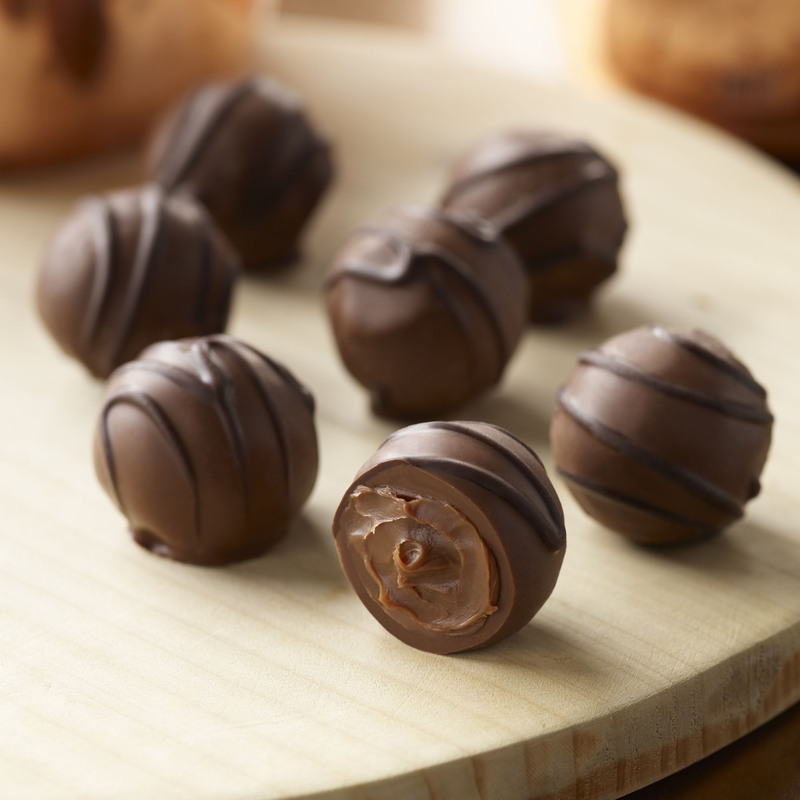 Each truffle is then smothered in creamy milk chocolate and decorated with our rich dark chocolate, to create bite-sized balls of perfection that melt beautifully in the mouth. 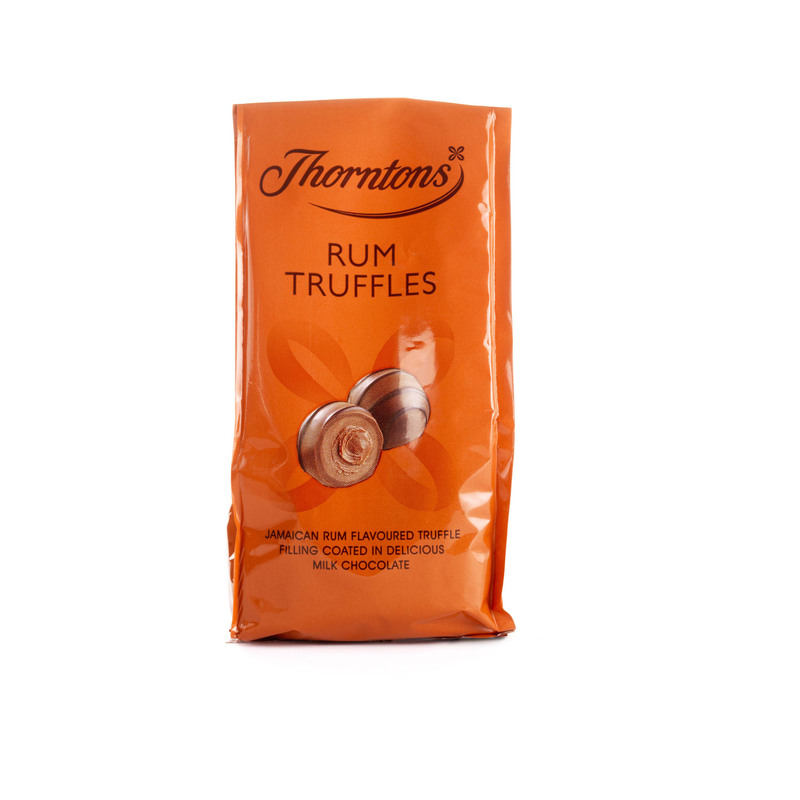 Choose a bag of Thorntons Rum Truffles and you’ve got a wickedly indulgent chocolate liquor treat that you can either share or enjoy all to yourself. Now in new look orange packaging as part of our Favourite Flavours collection of bags. Sugar, Dried Whole MILK, Cocoa Mass, Cocoa Butter, Water, Rum (4.5%), Dried Skimmed MILK, Invert Sugar Syrup, Humectant (Sorbitol), MILK Fat, Lactose (MILK), Palm Kernel Oil, Emulsifier (SOYA Lecithin), Fat Reduced Cocoa Powder, Flavourings, Gelling Agent (Pectin).